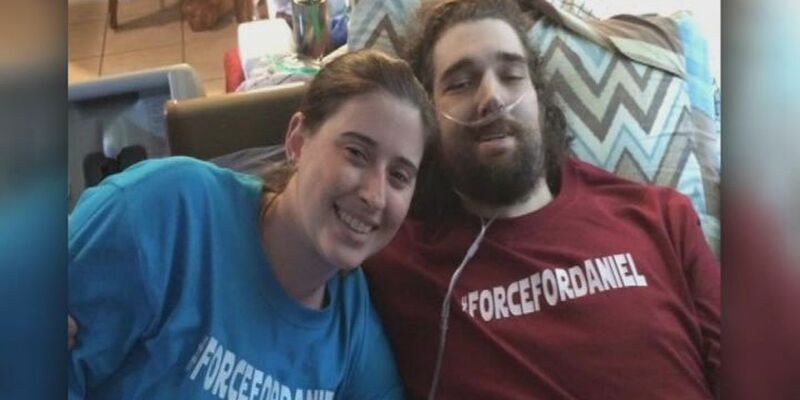 NACOGDOCHES, TX (KTRE/KPRC via CNN) - On Tuesday morning, the wife of Daniel Fleetwood's, the man who's final wish to see "Star Wars" went viral, told the world that her husband died via Facebook. It's been a very emotional day for people who were close to Daniel Fleetwood. "It's just been sad, there have been tears," said Dr. Alan Larson, an associate professor at Stephen F. Austin State University. "He was a very memorable student. He was one of the good ones." Sometimes even fighting back tears when telling stories about Daniel. Larson, who teaches at Fleetwood's alma mater described him as a good student, energetic, and very passionate. "One of the things that makes him memorable is that we kind of had to rein that passion in sometimes and direct it to get the best out of him," Larson said. Fleetwood was a huge star wars fan. "I just love 'Star Wars,'" Fleetwood said. His quest to see the latest "Star Wars" movie was successful. His story touching the lives of thousands across the country. People using the hashtag, #ForceForDaniel to show their support. Even actors in the film paid their respects to the young "Star Wars" fan. His national attention is something that's not a surprise to his old professors. "He was larger than life as a student," Larson said. "In retrospect, it doesn't surprise me that he was larger than life as he was passing." Larson visited Fleetwood the day before his dying wish was granted. "It was a very difficult visit. It was not very pleasant actually," Larson said. Some believe his wife said it best, when she said, "He is now one with God and with the Force." "I'm really glad he got to see the movie," Weber said. "Darth Vader thinks he won, but he didn't win. So we're going to miss Daniel." Fleetwood died at the age of 32 from spindle cell sarcoma cancer. Larson hopes the attention Fleetwood brought to his disease can help with a cure and save other people.